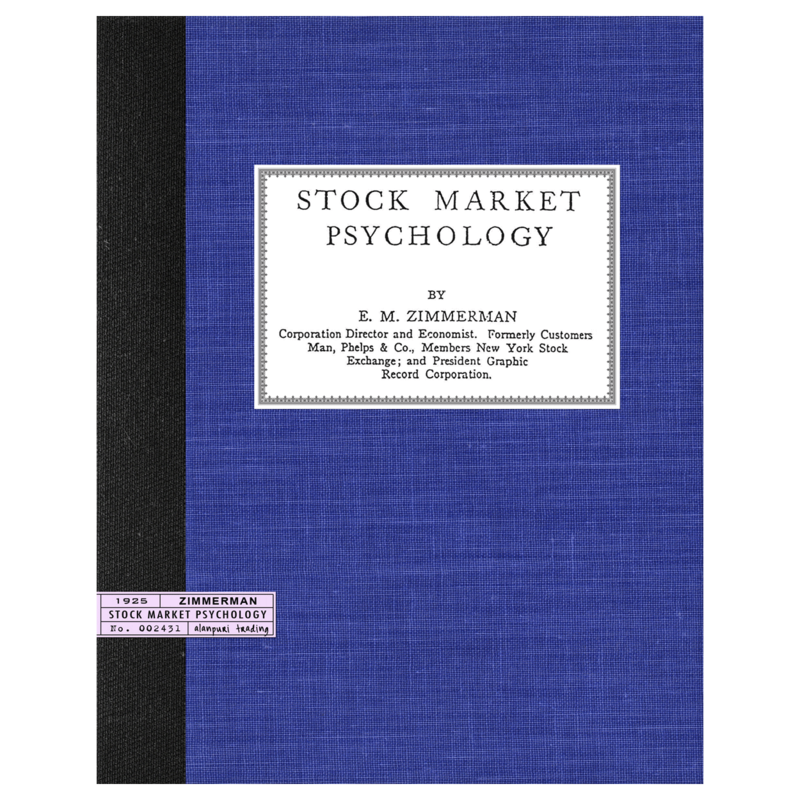 One of the first books ever written on Stock Market Psychology. Alanpuri Trading, Los Angeles, CA, U.S.A., 2013. 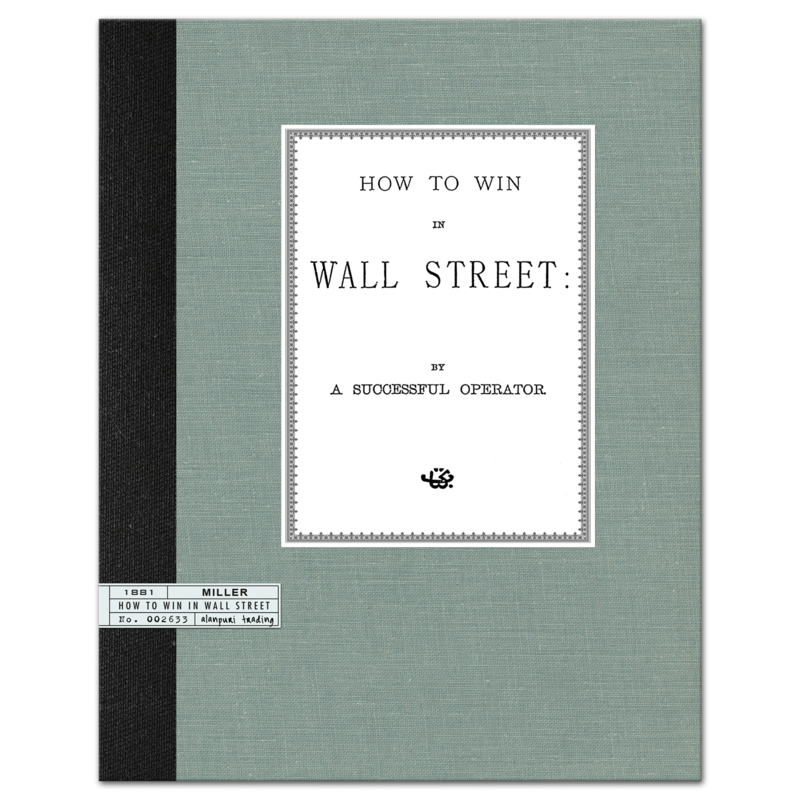 Reprint, Softcover, exact facsimile of the Original 1925 First Edition published by American Securities Service Incorporated, 32 pp. Contents: Chapter I. 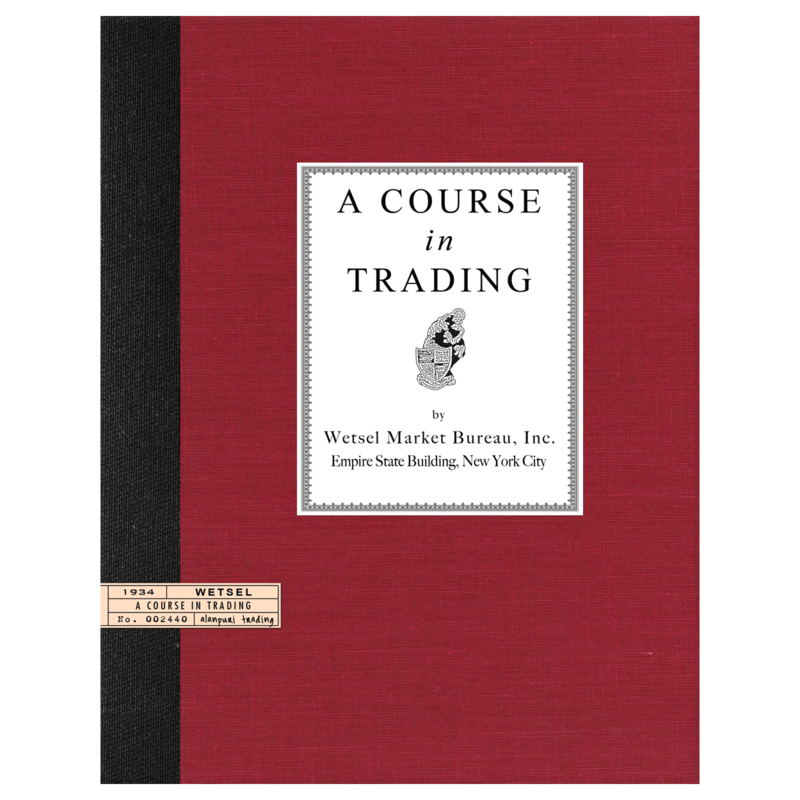 WHAT MAKES THE MARKET, What Is the Market?, Opinions Expressed in Buying and Selling, II. WHY PEOPLE ENTER THE MARKET, Something for Nothing? Mistaken Concept of Market, Becoming a Partner, The Gain of Money Motive, III. CROWD PSYCHOLOGY, Who the “Public” Is, The Market a Merchandising Proposition, Mental Intoxication of a Big Paper Profit, Missing a Big Profit, Cutting Losses Short Contrary to Human Nature, IV. 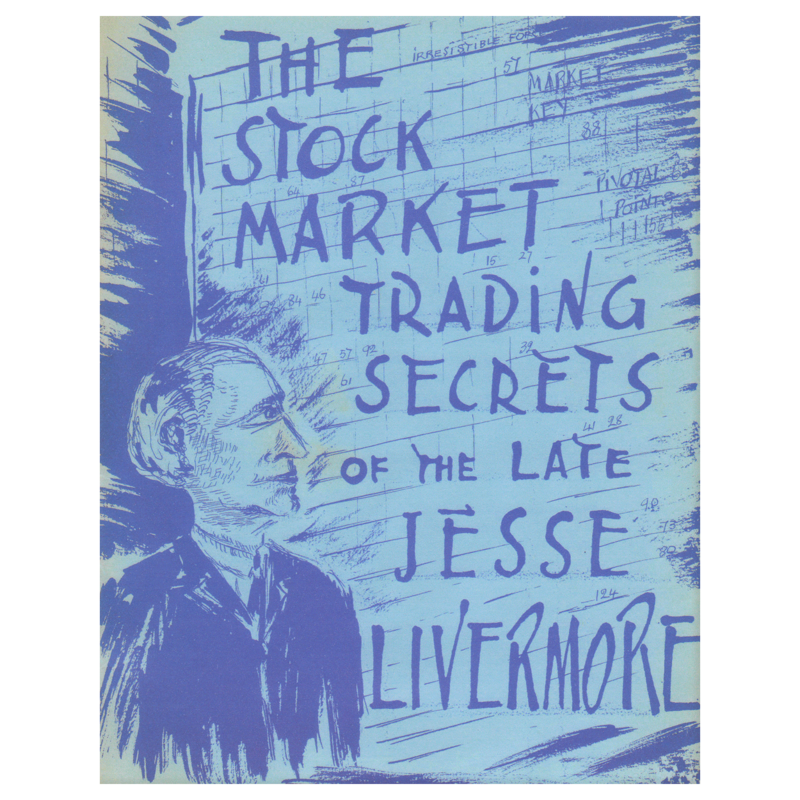 MENTAL ATTITUDE OF THE PUBLIC IN DISLIKING SHORT SELLING, Relatively Few Persons Sell Short, Every Contractor Sells Short, Nothing Unethical in Short Selling, The Short-The Quick Profit Side of the Market, Why Public Not Educated to Short Selling, Being Short Inducing Fear, V. INTERPRETATION OF THE NEWS, Trying to Speculate on Past Events, Discounting Conditions Marketwise, Reading Between the Lines, Market Thrives on Mystery, Changing Status of Security Markets, VI. ACCUMULATION AND DISTRIBUTION AMMUNITION, When Distribution Is Easy, Bull News at the Top, Psychological Effect of Stock Dividends, Ammunition Used in Accumulation, Mergers as Bull Ammunition, Interesting Cases Cited, VII. THE MOMENTUM OF CROWD PSYCHOLOGY, Can You Keep On An Even Keel?, Bullishness or Bearishness – Extremes, You Have Plenty of Company, Buying Contagion Spreads Rapidly, The Mind’s Love of Self-Appropriation, VIII. PSYCHOLOGICAL EFFECT OF THE INDIVIDUAL’S MARKET POSITION, Does Your Position Warp Your Mind?, Seeing Through Colored Spectacles, Blue Tinted Lenses of the Bear, Fighting the Rise, Going With the Market, Maintaining a Disinterested Viewpoint, Constitutional Bullishness or Bearishness, IX. PSYCHOLOGY OF REPETITION OF MARKET BEHAVIOR, “Habits” of Stocks, Operation of Pools, Buying Low – Selling High, Going Contrary to the Graph, Market Graph – Market Psychology Visualized, X. ADVANTAGEOUS AND ERRONEOUS MENTAL ACTIVITIES, Common-Sense Qualities You Need, Convictions and the Courage to Back Them, Forming Correct Decision Quickly, When Market Backs and Fills, Patience – Patience – Patience, Planning Soundly Ahead Now – end. 42 pp. 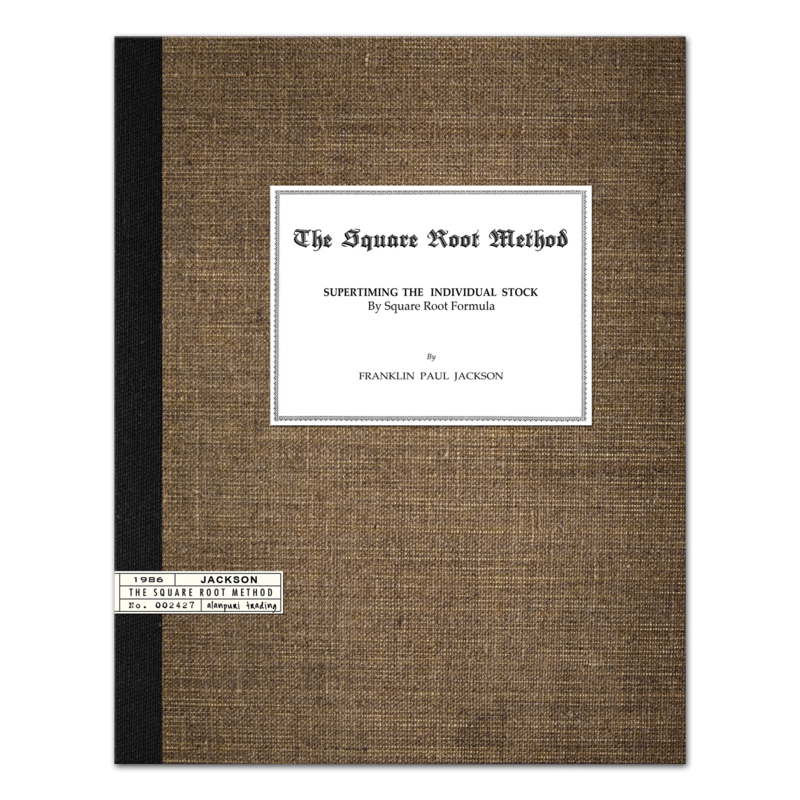 Publisher’s note: This title was one of the first books ever specifically written about Stock Market Psychology. Keeping in mind that this book was written 4 years before the 1929 crash, it’s amazing that Zimmerman was able to be so spot-on in his observations. 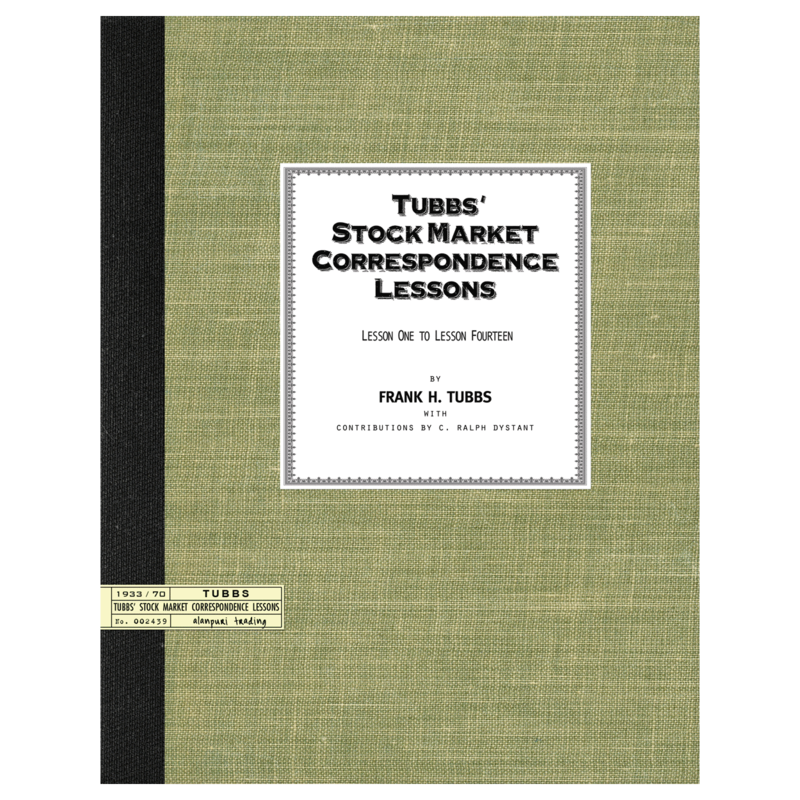 Of course, now eighty-five plus years later, nothing has changed in terms of human behavior and thus his insights are still a valuable references to review from time to time. 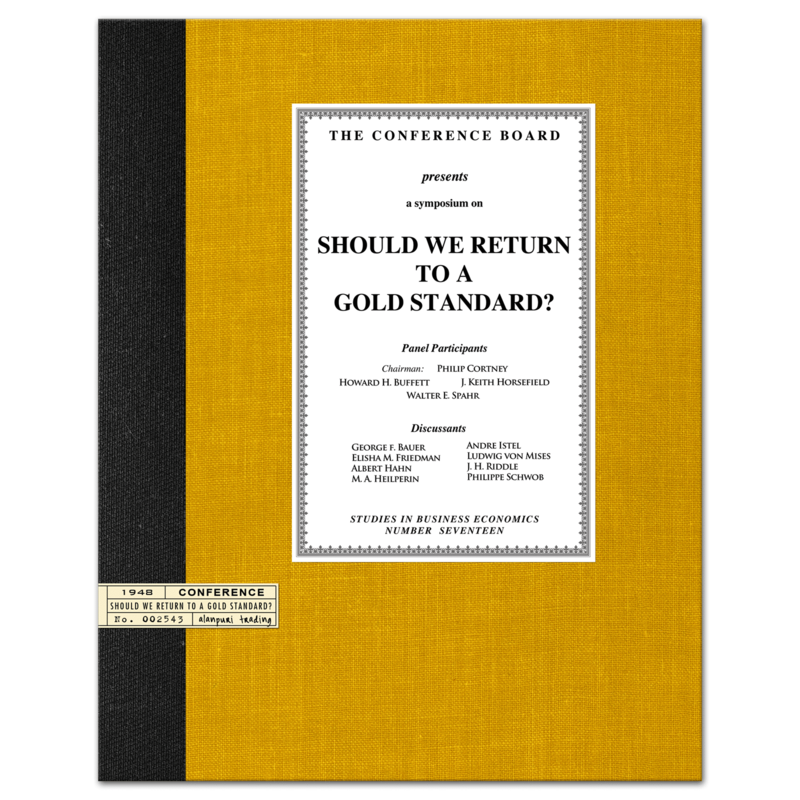 Extremely Scarce Title, Reprint, Recommended Reading. 42 pp.